Revisited the pattern for the Dynamite body pants, found some flaws which bugged me, so today I worked on tweaking the pattern again after the previous attempt(s) from a while back. 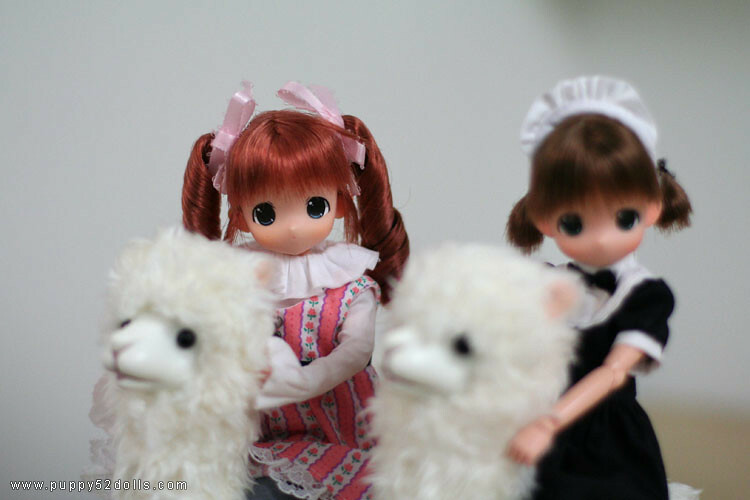 Omake: Yesterday afternoon, I got a mail loot XD I was really amused when I saw taitan-no san’s Wind up Alpaca, and had been coveting it for a long time, and one day I finally snapped… :P It was slightly troublesome to get them, I did a BIN from an ebay listing only to find they did not have it at hand (can they actually do this?!). 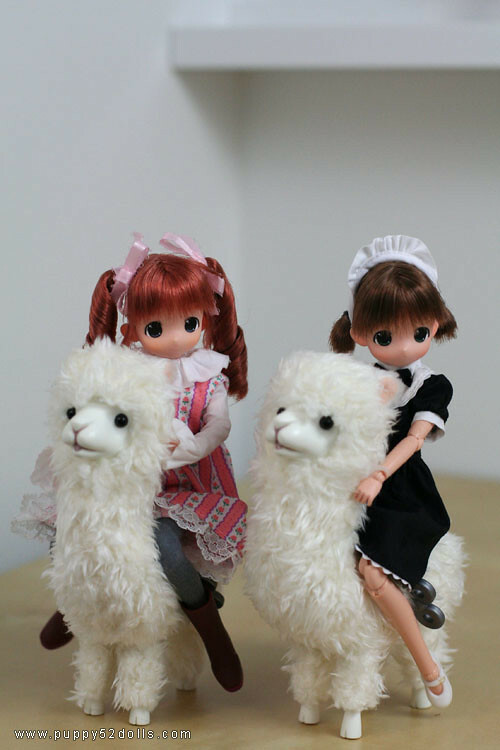 Luckily they refunded me quickly, I decided to try a proxy service, but even with that I had a little hiccup which caused some delays to have these 2 Alpacas shipped to me lol. Ow and the lighter color pants ROCK. (really great)! the clothes you make for DD’s are great. Really nice. I was looking around for DD clothes but there aren’t many nice clothes. I am planning to buy a Dollfie Dream, but I’m not sure which one to buy. The DDdy look so “BIG”, but maybe that’s just me. If I look at the Volks site and I have to choose between the different bodytypes. The DD2 body with M bust looks best to me. L size bust or the DDdy body look so “BIG”(abnormal or out of proportion, however you want to call it), but if I look at the clothes you make for your dolls, then I think L size bust or even the DDdy body which has a big bust and a big bum is better, because it dresses better? What do you think, Chun? And if I made a choice for my Dollfie Dream, can I order clothes for her, here? And yes the DDdy body is definitely big on curves, the bust and hips are way bigger than the DDII body. If you feel that DDII looks best to you, then you should get a doll with that body. I personally like both types, but I feel that DDdy body is a lot more difficult to make clothes for. that’s too bad. It would’ve been nice. Well thank you for your answers! And keep up the good work! By the way, dunno if you remember Gundamaniac(Marvin Chua), He’s also been bitten by the Doll flu. lol.